The new Oak Bay Beach Hotel is destined to become an internationally acclaimed destination resort as well as the signature landmark its predecessor was. When it reopens in late 2011 it will continue the eighty year legacy of attentive service, elegance, luxury and warm hospitality. The Oak Bay Beach Hotel and Private Residences is aiming for LEED Gold certification and if successful it would be the only full service hotel in Canada to achieve this rating. Eventually I arrived at the front door and was so happy walking through the lobby and heading directly to the Snug Pub and all its warmth and comfort. As the chill melted and my eyes started working again I was so pleasantly surprised to see many of the friends I had graduated with from Oak Bay High. What a great memory. This was the only time I stayed at the Hotel and then years later, when I married, I hired Frances Litman as the photographer and had my wedding photo's in the sitting area of this great Landmark. The neighborhood I grew up in has so much of its history and so many traditions of so many families have been connected to the hotel over the years. It is such a shame that almost a generation has had to miss out on the experience and tradition. Thankfully it will soon be back. Below is a recent short 'A News' video interviewing Kevin Walker, Owner - speaking about his Dreams prior to finally achieving the final approval to start construction from the Oak Bay Municipality. Congratulations! Victoria is a beautiful City, it is the Provincial Capital and the Nations playground and if you think about it, it's the South Pacific of Canada! 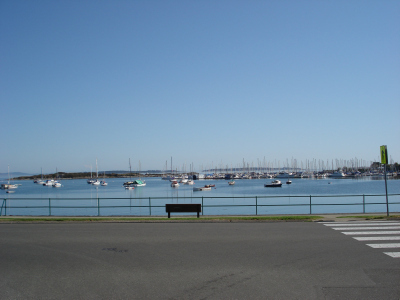 It is not surprising that Victoria is a major tourism destination attracting more than 3.65 million visitors a year who inject more than one billion dollars into the local economy. 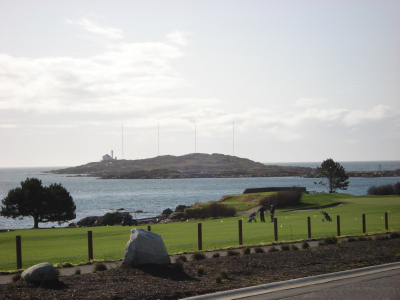 I feel that 1175 Beach Drive will become the premier residential condominium address in Victoria. 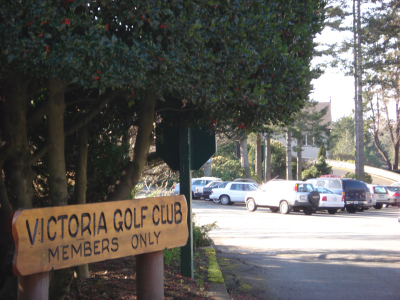 Here is a link to a little map showing you the location and proximaty to the Oak Bay Marina and Restaurant (only 550 meters away) and the Prestigeous Victoria Golf Club. If you are interested to learning more about Oak Bay real estate or this ocean front FIVE STAR full-service hotel, spa and private residences focusing on ten of the unimpeded ocean view residential suites (sub-Penthouse and Penthouse suites) please call toll free in North Americal at 1.800.550.0585, email brenda@brendarussell.ca or follow Brenda on Twitter; http://twitter.com/brussell6 and will be happy to help answer your questions. Raised in Oak Bay, licensed since 1990 and this year was honored with the 'Lifetime Award Of Excellence' an achievement given when in the top 6th to 10th (or higher) percentile of Royal LePage REALTORS® ten out of fourteen years consecutively. 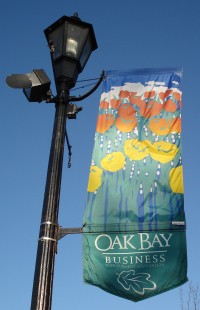 Looking forward to hearing from you and please stay tuned for more updates...and that's Oak Bay!